Koenigsegg will be at the Nürburgring in the near future. Last year we announced plans to go to the Nürburgring with the Koenigsegg One:1 and attempt a new lap record. Those plans were cut short when ‘Ring management put temporary speed limits in place on certain sections of the track. Those restrictions have now been lifted. We maintain our desire to show what our cars can do on the ultimate automotive proving ground. We won’t be doing a lap record in the immediate term, but we will be there and because people will see us there and expect all sorts of things, we thought we’d get out ahead of the car-spotters and tell you what we’re up to. A Nürburgring record doesn’t just happen. In a piece expressing our disappointment with developments last year, I glibly wrote “We…. only need about 7 minutes of their time and we will do our best to not use all of it.” The truth is it takes a lot more than 7 minutes to achieve a good lap at this track. We were ready to go when that piece was written last year. This year, we’re starting over again and it takes months of planning and preparation. Addendum: Someone in comments has questioned why we need ‘months’ at the track to prepare the car. While we foresee this taking several months, those months comprise only one or two days at the track each month. We will not be testing on public days when the track is full of ‘public’ drivers. We will be testing on private days that we can gain access to. 2) an intimate knowledge of the car. Building that intimate knowledge is what we’ll be doing at the Nürburgring in the near future. Our regular factory driver, Robert Serwanski, will be supporting our preparation with plenty of time in the car at the ‘Ring working on vehicle setup. He will most likely not be at the wheel at the time a record is attempted, however. Intimate knowledge of the track takes a long, long time to build and we are aiming to secure a driver with maximum experience at this most demanding of tracks. There is a lot for any prospective driver to learn about the car, too, which is why we’ll be there soon. We’ll be testing updated systems on the car, gaining intelligence on vehicle setup to optimize the car’s performance and providing valuable wheel-time for our driver. As a Koenigsegg is far more powerful than most rear-wheel-drive cars, the driver really has to become accustomed with how to push so much power to the limits, especially on a demanding track like the Nürburgring. Will we gun for a record this year? Maybe. It depends on many, sometimes mundane, factors such as track access/availability, driver availability, the weather and other commitments that may pose a conflict in terms of timing. So yes, you may see photos of us at the Nürburgring later this month. Don’t get too excited, however. This is a long road we’re on (pardon the pun) and it ain’t over ’til it’s over. Still, it’s very exciting to be back! Koenigsegg, you have become almost as bad as Ferrari. Months of tweaking for a lap. I guess it’s not a production car we’re talking about. Pulling cars from reviews — see Salomondrin’s video. Those months of tweaking you’re referring to add up to just a few days, actually. We will not be there continuously, just a day here and there, when we can get relatively secure access with minimal traffic. We make no apologies for preparing the car properly. When you’re asking a driver to put his life at risk for something like this, which is what you do whenever you ask someone to drive fast but especially so at the ‘Ring, the car has to be 100% prepared. Actually there are a lot of adjustments that can be made on the production cars, and beyond that they may be using the even cooler real time setup adjustments available on the PRODUCTION One:1 which would take a lot of track time to set up correctly. I don’t know. The One:1 is out of production and delivered to customers. They should be using the Agera RS which is still in production and is more a production car as there are 25 examples and not just 7 cars. This whole thing is very odd and now I have doubts about this brand after hearing of reliability issues and cars being pulled from reviews. They never pulled any cars from official reviews, in the case with Salomondrin he said that he was just speculating and that he had nothing to back it up with. He also stated all along that they didn’t want official factory support, they wanted privately owned cars. Do you honestly think that Koenigsegg could influence owners not to supply a car to Salomondrin ? We are talking billionares here, people that are used to getting their way, they feel entitled to it because of heritage, inheritance etc. If Koenigsegg somehow put pressure on them it could very easily backfire and cause mistrust in Koenigsegg as a whole among their owners, it might even influence people not to buy more of their cars . As of yet we don’t know for sure, Salomondrin might have his car for april 17th, he isn’t making any comments about it anymore. There’s also another thing to consider: the owners just MIGHT have reconsidered, Salomondrin presents himself as a bit of a Yahoo and doesn’t exacly seem that serious, their tests doesn’t either. Not sure i’d lend them my 2.5 million $ car either if i had one tbh. I thought Salomondrin did a decent job with that hyper 5 video that they produced. I agree that group does appear as a bunch of yahoos, but on the other hand he is doing precisely what I did about 35 years ago. And that is comparing the best and fastest that the world has to offer. Whether that be by car, boat or plane/jet? What he did state was that when they thought they had a Koenigsegg to test the owners suddenly pulled back and said no. They also do not want factory cars and don’t want to get caught up with how manufacturers juice their test cars. So I guess you have had full insight in the atempts made by Porsche and Mclaren and know that they did not prepare anything but just went there and did good times? I trust an open company as Koenigsegg much more then a secret one like Mclaren. Have we ever seen any privately owned Koenigsegg car, gunning it to the limit on a race track? I don’t think I have. A hooray as such, for the brainchild of CVK. So from me a big Cheers to CVK and the brand to be willing to do this. Something is not quite right. I thought 7 minutes is more than enough time for the egg to demolish the last lap record. And now you are talking about months of fine tuning to get in that (7min) time? 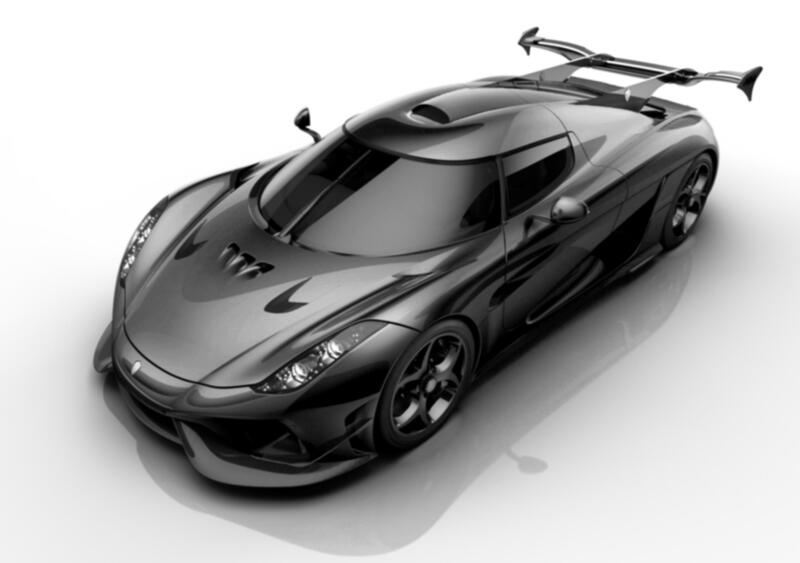 I think it is great that Koenigsegg are going to even attempt to break the current record. Let’s not forget the Porsche had 3 drivers all competing on the day to go fastest in the 918 after having completed many thousands of laps of the ring during development of the car. I think Koenigsegg should be allowed to complete the suggested period of learning and adjustment without ridicule. Fantastic news! Wish you all the best of luck! Was kind of sad/angry watching APEX – like everything was against you last year. May we ask what car will be used? We will confirm the car to be used at a later date. What is Koenigsegg your response on the things Salomondrin said? I’m sure you’ve seen it. Why tell customers to back out? Isn’t you cars really that great on track as you say? I’m the biggest fan of Koenigsegg since 2011 but i’m having my doubts on this now. Thanks for being completely transparent with your intentions. I think some assume that since other manufacturers don’t claim the months of preparations, they must have only needed a few minutes and without and tweaking. For all the haters that I have just read, I am still waiting for you to build a car, let alone one that is capable of beating the ‘Ring lap record, let alone actually breaking the record, let alone doing so in a car you can comfortably drive daily. Just because they admit that it isn’t a stroll through the park is no reason to lose trust in them. On the contrary, I would lose trust in them if they done all of the necessary preparation and then said that they had broke the record on a whim. If you had done your homework, you would know that they will be using a production car, and they are willing to tweak and or update any of their previously sold production cars however the owner desires. So, no matter how much effort they put into tuning this specific car, it will still be a production car lap record, because the same tuning will be available to the other owners. Do what you did at spa and set an unofficial record. It won’t take as long. The Ring is probably the most dangerous track in the world. It is high speed, has tons of turns, and dramatic elevation changes (meaning areas where the car may jump), and narrow with no run-off. It is also 13 miles long. Spa is a very short track in comparison, with dozens fewer corners, and has more run-off room if something were to go wrong. I’m sure they could set the record tomorrow if Robert Serwanski knew the track inside out and sideways. But like they said, it takes a *perfect* understanding of both the track and car. That is what takes months to prepare for. It is literally putting a man’s life into the hands of the company and their car. It isn’t just some morning idea where you say, “Hey guys, let’s set the record today!” I know what the car is capable of. It will set the record, but even as the number one Koenigsegg fan I am afraid for the risks that must be taken. The faster the car, the faster the crash. Driver error or car malfunction is not acceptable. It only takes one mistake. Beautifully put. Why would a driver risk his/her life just for the fame of a company? Be prepared and do it right. Is it not a time for Koenigsegg to consider building an all-wheel car? I’ve already heard Christian saying in an interview that Regera acceleration is limited by what 2 wheels can deliver. Here you are saying that the cars have so much power that drivers need to learn how to use it at all. From what I guess, Koenigsegg has to serve needs and abilities of those people who actually can pay this amount of money for one car. The recent moves making cars more comfortable than the first ones are kind of confirmation. A big majority of rich has basically no idea how to drive. Would it be not a good idea to offer something which just catapults itself with insane speed without thinking a lot how to press the pedal properly. A usual concern with an all-wheel car is weight. But Koenigsegg has proven so often that they are full of great ideas wiping all real-live concerns? I can’t wait to see what the One:1 is capable of!! That’s very true. Safety should always be first. This car is never about speed or handling, it’s about passion. Any owner of any Koenigsegg will never be able to drive that fast. So take your time and try for the best. For all haters setting a lap record in the “Green Hell” is insanely hard. You need a driver that is 100% used to the car, the perfect weather and a private day at the track. It´s not easy to combine this things (for example you can hire a driver and have several days of raining or the driver can be working in an international series and will not be available). I am sure that Koenigsegg will not use these “months” to tune the car (instead of using a “stock car”) but you need to adjust little details like the tyre´s pressure, etc. that is normal in any record attempt. I wish you the best for this attempt. Just a little favor, please record as much as you can (in Full HD of course). Drama is lame. I just want to see Regera unleashing the beast on dry roads. I really don’t care about comparisons to other cars. They are all so amazing at this level, and only have nit-picky different things to offer. Don’t want to point out the obvious here but the 918’s time was recorded within a week of the car being released. How can it take years to match the time in a car that’s twice the price and has twice the power to weight.Surely 7 min is just a walk in the park considering the advantage all that power gives on a track with a straight as long as Nurburgring has? If the Koenigsegg would really obliterate the record surely all they need to do is give to to one of Nurburgring masters and let him try. It sound more like you are going to tune the car for this specific track rather than use a standard setup which is not what the production car record is all about. Porsche did not need to mess about with the 918 , they took 3 cars and 3 drivers to the ring and on the same day each driver broke the 7 min barrier in a complete stock non-optimized car without any roll cage, the only option was Weissach pack which many buyers choose. Walter Rohrl, one of the drivers is 70 years old, yet still no sweat. Surely with 1200BHP on tap breaking 7 min should be do able after a couple of warm ups? It would not even need to be anywhere near as fast round the bends than a 918 to break 7 min as it would gain loads of times on the long straight. But why break the old record, and play leapfrog with the competition, when you can obliterate it, and show that you HAVE NO competition. Plus, like I said, the work they put in on setup will be available for customers too, and I’m sure customers who might choose to take their car to the Ring, would like access to the best possible setup, why create technology that can adjust setup on the fly if it doesn’t get used??? Its not going to obliterate the record though is it? The One:1 was 17 sec slower than the Radical SR8 at Spa which is a very short track in comparison. well i can tell you based on lap times at spa the One:1 will most likely destroy the 918. yes, the One:1 is slower than the radical SR8 by 17 seconds. But the 918 was 32 seconds slower than the Radical according to http://fastestlaps.com/tracks/spa-francorchamps. Not to mention that the SPA record was with a passenger and with traffic. So even the One:1’s record there isn’t their best. So you really think that Porche (a german company known to develop cars on the ring) never drove the 918 on the Nordschleiffe prior to those tests? I suggest you think about that for a while. I’m sure Porsche didn’t have the 918 at the track for only a week. I’m pretty sure I’ve seen 918 test mules on the ring a long time before release. Isn’t it obvious? Hey, however long it takes to put Mclaren, Ferrari, Porsche, and everyone else in their place. I just want to say bravo to you CvK and the entire Koenigsegg team. Forget all the drama with this and other things with other cars etc that are happening. You are a great company and all it comes down to is that you guys have great morals and make great cars!! 1.- why is robert not doing it? 2.- you’re probably gonna set a super fast lapif not a record on testing. 3.- are you gonna use the one:1 you did the 0-300-0 record with? or one of the other 6 that have a lower weight since they dont have the rollcage? For the ‘ring, a customer car will be especially hard to obtain. I also hope times will be set in the “slower” options. Agera RS as a current model would be more preferred for me. And certainly Regera. We are all obsessing over the hybrid cars and their laptimes, so Regera is a logical opponent. Not a true track car, smart useoff batteries, a great test. Can the RWD Koenigsegg take on the 4WD Porsche? It’s been a few years, technology keeps advancing. Sabine Schmitz should be the driver. 1. She have driven more than 30.000 lap on Nordschleife. 2. She is fast. 3. She is a woman, that’s a big PR. I would agree with you 100% if she had any experience in the car already, but car knowledge can be just as important at track knowledge, especially when pushing the limits like this. Like I said to someone else, if we could some how give Sabine, Robert’s car knowledge, or give Robert, Sabine’s track knowledge it would be a done deal. Amid all of the negativity in the comment section, I would like to add something positive. The guys at Koenigsegg do need this prep time. They don’t call the Nurburgring the “Green Hell” for nothing. They need to tune the suspension and other things, and either spend time to let Mr. Servanski learn the track, or let a Nurburgring expert learn the car. This takes tons of time, especially on a track that is nearly 13 miles long. I have conversed with Oscar Bergfelt and with someone who has met Mr. von Koenigsegg, and they seem like geniunely nice, good people. I have full faith that you guys will demolish the 918’s lap time, even if it takes 3 months to do so. Mr. Wade, despite the fact that I am not even 14 years old, I consider myself to be one of Koenigsegg’s biggest fans and stand behind you 100 percent. I am curious…. Which car could set the best lap time at the Nurburgring? One:1, Agera RS or Regera? Many in the auto show business want you to succeed – and so do I.
three names for that lap….Sabine Schmitz (Ring Taxi),Nicola Larini and…the old boy of Loris Bicocchi…..and hands up.